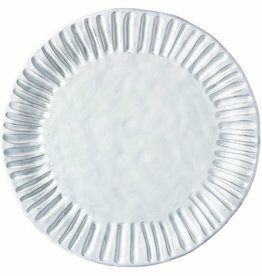 Mix and match the Incanto white stripe dinner plate with other designs to create your own unique setting! Incanto dinner plates are dishwasher, microwave, oven and freezer safe. Handmade of terra marrone in Veneto. Mix and match the Incanto white baroque salad and dinner plates to create your own unique setting! You will love all the compliments at your next dinner party! Dishwasher, microwave, oven and freezer safe. Handmade of terra marrone (brown clay) in Veneto. Handmade of terra marrone (brown clay) in Veneto, our Incanto white ruffle cereal bowl is perfect for berries, ice cream, savory dips, or whatever your heart desires! Even cereal! Dishwasher, microwave, oven and freezer safe. 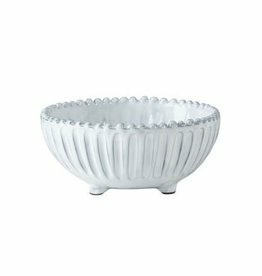 Our Incanto white ruffle bowl is perfect for berries, ice cream, dips, or even cereal! It's the perfect bowl! They are handmade of terra marrone (brown clay) in Veneto. Dishwasher, microwave, oven and freezer safe. 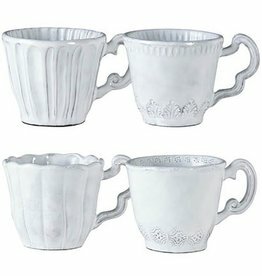 Mix-and-match your Incanto white lace mugs with our other assorted mugs. They include, leaf, scallop and stripe mugs which will make a beautiful table setting. Dishwasher, microwave, oven and freezer safe. Handmade of terra marrone (brown clay) in Veneto. 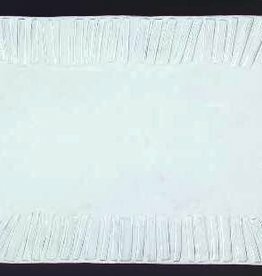 Our Incanto white stripe charger also makes a great cheese plate or platter for serving. Combine with the Incanto white or aqua stripe footed bowl to create a chip-and-dip! Handmade of terra marrone in Veneto. Dishwasher, microwave, oven and freezer safe.